I pretty much love any kind of Italian food. And who doesn’t love a good meatball? 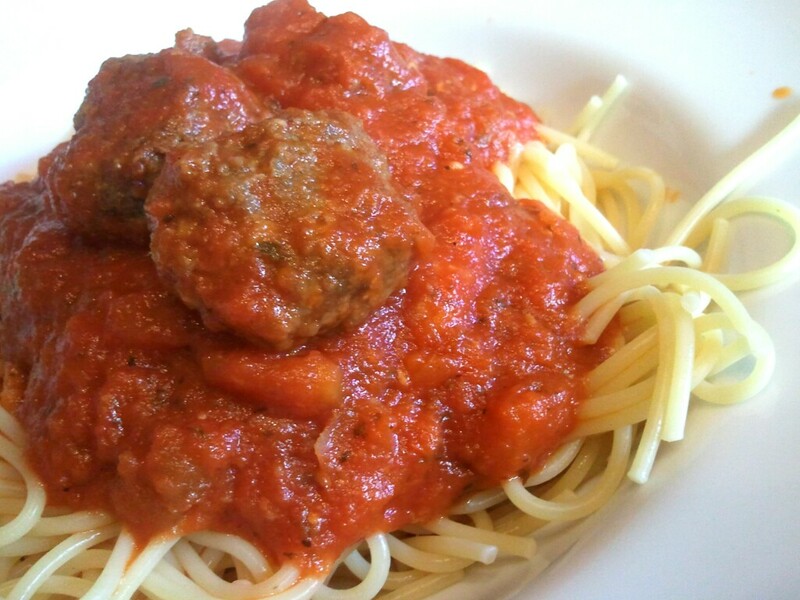 These meatballs are easy to make and best of all, you can freeze them! They are great on top of spaghetti or as a quick snack. (my kids love these!) They are packed with flavor and would make any Italian mama proud! In a medium bowl combine all ingredients. Mix well. Try not to squeeze the mixture through your fingers, but just combine, as “squeezing” will give your meatball a tough texture. 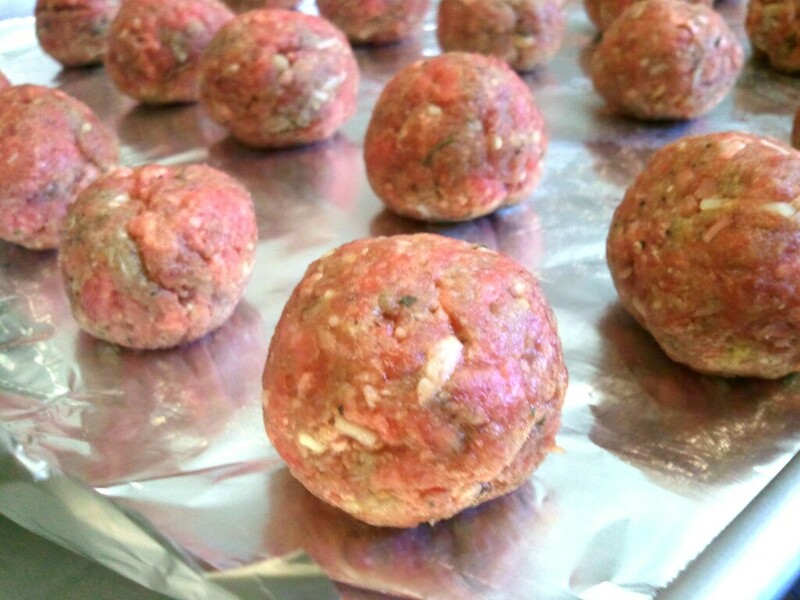 To make evenly sized meatballs, turn mixture out on a cutting board and shape it into a rectangle. Pat down until it is perfectly shaped. Using a sharp knife, cut mixture into 24 squares. (or less if you like a bigger meatball) Roll each square into a ball. Place on an aluminum lined jelly roll pan.